Home / Sample Preparation / Tweezers / ZC Repl. Ceramic Tips Tw. ZC Repl. Ceramic Tips Tw. 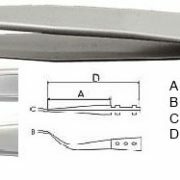 The EM-Tec ZC replaceable ceramic tips tweezers combine the advantages of the unique high strength/high hardness ceramic tweezers tips with the firm handles of stainless steel tweezers. The material used for the ZC replaceable ceramic tips is a zirconia toughened alumina (ZTA). The ceramic ZC tips exhibit both high strength and high hardness with excellent chemical stability and high temperature stability (1400°C). The hard surface makes the tips extreme wear resistant. Other advantages of the ZC ceramic tips are no open porosity and a relative low density (light). The colour of the ZC ceramic tips is white. 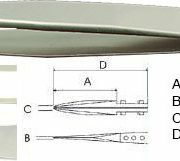 Applications for the EM-Tec ZC replaceable ceramic tips tweezers include handling of hard materials, handling of samples or components during thermal, chemical and soldering processes. 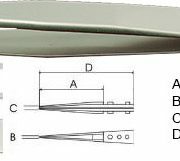 Generally used where very rigid tips are required.